A host of companies across industries have confirmed attacks today by a brutal wave of ransomware, including global law firm DLA Piper, U.S. pharmaceutical giant Merck, and the Danish shipping company Maersk. Although targets originally appeared in Ukraine—shutting down power plants, banking services and supermarkets—this latest cyberattack has quickly spanned critical economic sectors around the globe. 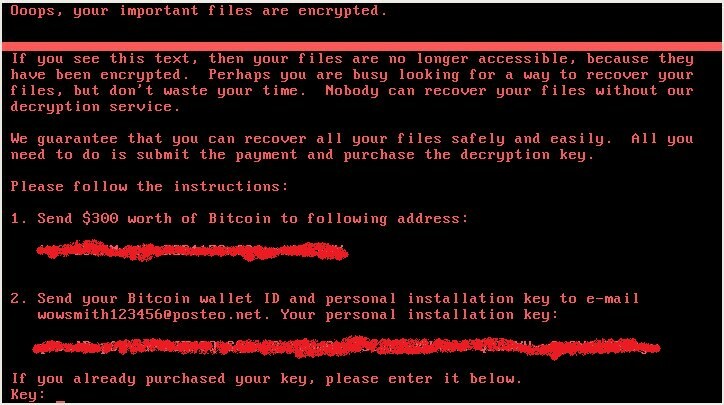 Webroot’s threat researchers have confirmed that this ransomware is a variant of an older attack dubbed Petya, except this time the attack uses EternalBlue to target Windows systems—the same exploit behind the infamous WannaCry attack. 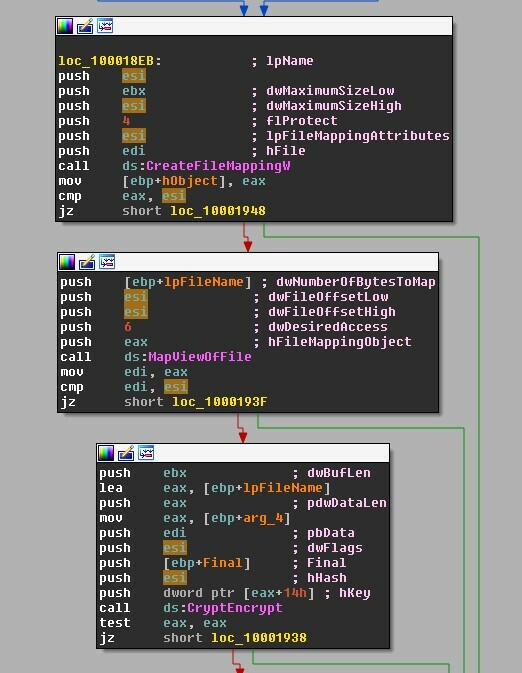 While this variant appears to be an upgraded version of Petya, there is no confirmation that this attack is from the same author. This variant mirrors Petya in that it encrypts the Master File Table (MFT) by overwriting the bootloader code, though unlike previous versions, it encrypts files based on file extension. The system fails to boot as usual and the end user instead sees a screen that appears similar to DOS and demands payment. The shot below depicts the preparation of the EternalBlue triggering packet. 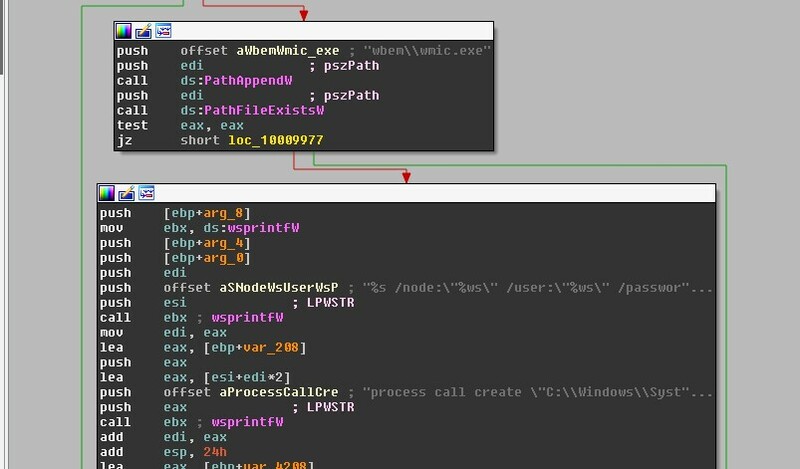 This is the same attack vector that made WannaCry so effective, but we have also observed additional techniques used to infect more machines. Here we can see that the worm is also utilizing WMI (Windows Management Instrumentation) in a technique to further reach through the network using credentials siphoned from the local machine. Once the machine is infected, the computer will immediately restart to what looks like a ‘chkdsk,’ but isn’t. 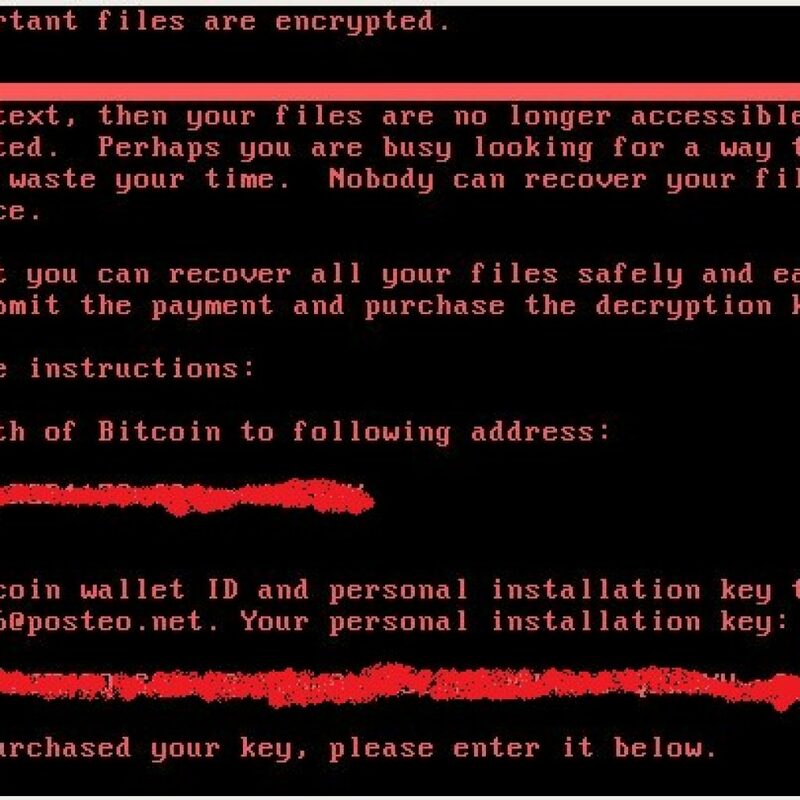 Below is an image from Ukrainian Prime Minister Pavlo Rozenko’s Facebook showing the world what the ransomware looks like while it encrypted his computer during this fake chkdsk stage. This stage is the ransomware encrypting files on your hard drive. We found that the ransomware doesn’t encrypt the entirety of your files with matching extensions, but instead encrypts up to the first mebibyte of data. This is done presumably to save time during the encryption process, but also ensures that enough of the file is encrypted to be unlikely to restore without paying the ransom. There is no way for a victim to retrieve their files other than to email the cybercriminal after paying the bitcoin address listed in the ransom. In fact, the email address listed in the ransom has, as of now, been shut down by the email provider. Essentially, this means victims are unable to get their files back, even after paying the ransom, as the payload author is now prevented from checking this email. It now seems the attack’s intended effect was not to generate ransom payments at all. 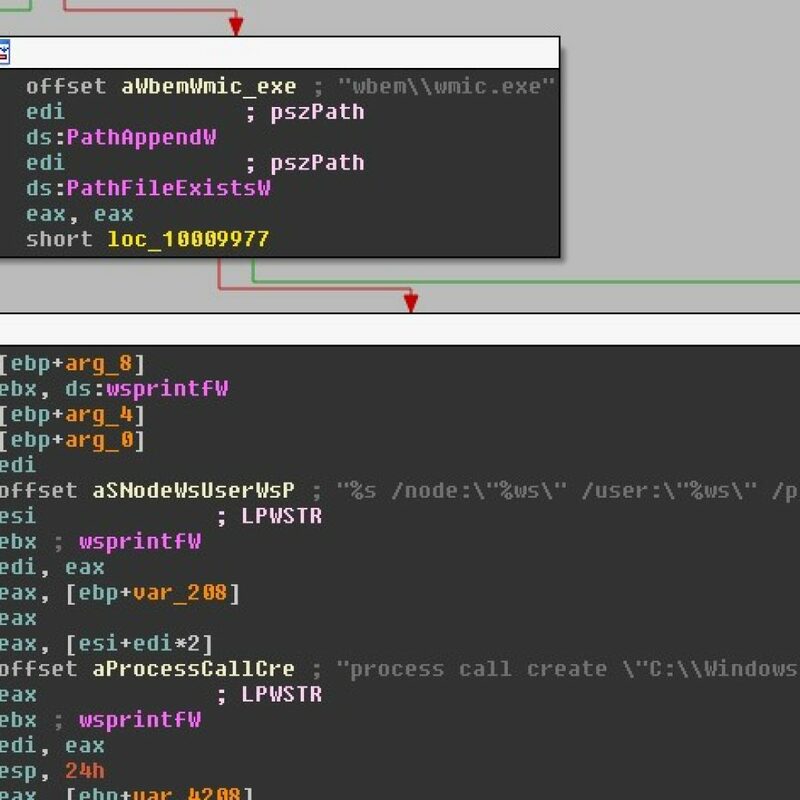 In a detailed post on the Microsoft Malware Protection Center blog, the initial route of infection was revealed to be a malicious update to tax accounting software deployed by the Ukrainian company M.E.Doc. Given the initial attack vector and level of sophistication, the underlying motive appears to be aimed at wreaking the maximum amount of disruption in Ukrainian infrastructure, while merely operating under the guise of ransomware. This suspicion is supported by the absence of a payment portal or functional email address to deliver the ransom payment. 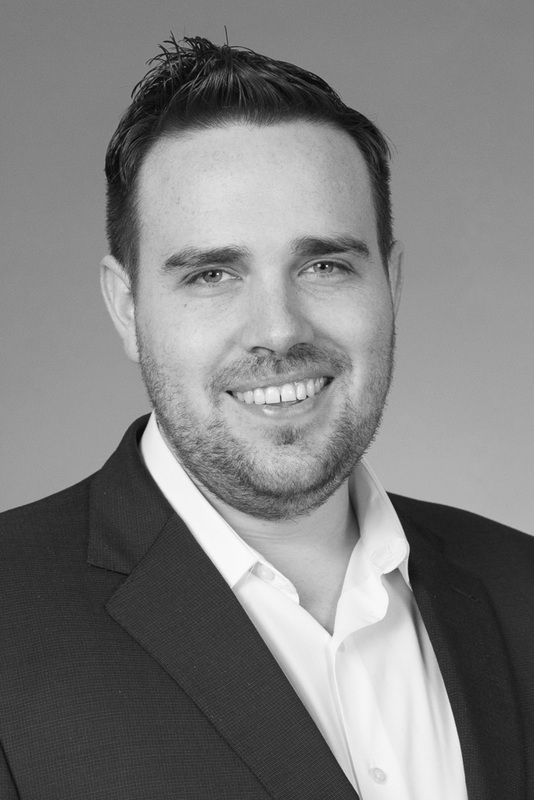 If you’d like to learn more about this Petya-based attack, catch the replay of my webinar: Deep Dive into Petya-based & WannaCry Ransomware Attacks. 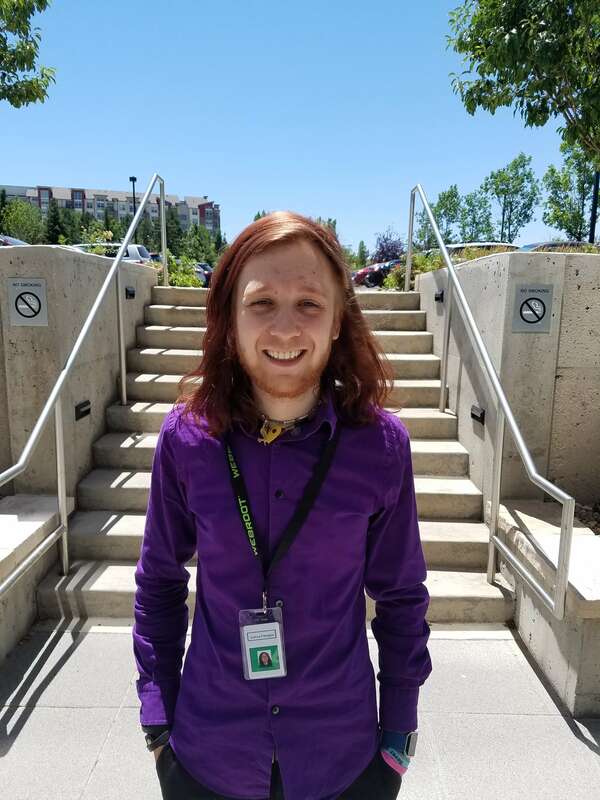 Our threat researchers have determined that this infection includes a check to see if a file named “perfc” or “perfc.dat” exists in the Windows root directory before executing (a kill switch of sorts). Of course, the best “kill switch” is to perform updates that patch known vulnerabilities such as EternalBlue. 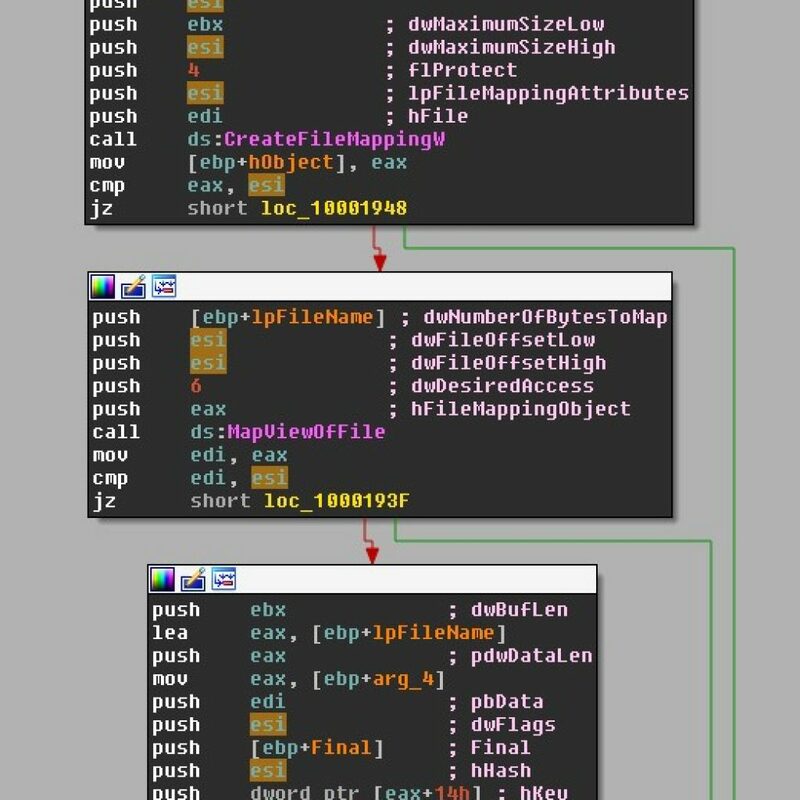 When will (or did) Webroot release a pattern that will recognise the Malware? Currently nearly all of our endpoints are running 9.0.15.65, will this protect us? Webroot first encountered this threat 10:11 a.m. UTC on June 27 and starting detecting shortly after. There is no need to update your client. I read that the Microsoft patch is not enough, do you know anything about this? This is correct. You can patch the attack spreading through the EternalBlue and EternalRomance. However, the credential stealing tools and remote execution through WMI and PsExec can still allow the infection to spread within a network. This reiterates the need for a smart cyber security solution that can detect these methods. Thanks for keeping us on the ball, Ken! so in the mean time webroot is protecting our pc`s for these horrible malware aka petya and wannacry randsomware?…do we have to update the program ie webroot secure annywhere complete….does webroot updated these randsomware in the global theat inteligence network where webrrot dedects these malware? 1. Open the Webroot SecureAnywhere main interface. 2. Click the gear icon next to My Account. 3. Click the “About SecureAnywhere” tab along the top. 5. If a newer version exists, Webroot downloads the updates to your system.